No matter what type of Mac computer you own, it is almost certain to break in some manner one day. Whether its battery breathes its last or the hard drive or logic board blink out for the final time, it is likely to require repair. It is possible to save money by doing many of these repairs yourself. 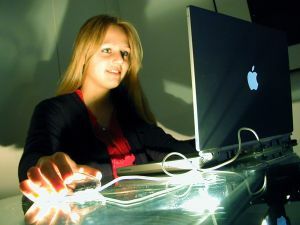 The following are the most common Mac parts that require replacement in order to repair the device. One of the more common Mac repairs involves replacing RAM. Over time, a computer’s RAM becomes insufficient to support the workload created by new software. This is obvious when the computer begins to slow down and struggle to perform. Another common parts replacement is the hard drive itself. As with batteries, hard drives have limited life spans, meaning it is only a matter of time before yours needs to be replaced. Always back up your hard drive so that when the day comes to replace it, you are able to continue working seamlessly with a replacement drive. New hard drives are far cheaper than new Macs. They are also relatively easy to replace, requiring few tools and no specialized knowledge. Your Mac’s logic board is also prone to failing eventually. Thankfully, it too is not as difficult to replace as some people think. In fact, replacing your logic board takes about 10 minutes from start to finish if you follow installation instructions correctly. By purchasing replacement parts and performing your own Mac repairs, you stand to save hundreds, if not thousands, of dollars in repair costs over the years. Knowing which parts tend to wear out and being prepared to replace them yourself gives you an advantage over Mac users who are likely to spend a great deal of money on repairs and servicing.